It seems that I'm not the only one who has always wanted to send a zipped-mouth, a nerd face, an eye-rolling expression, a sign of the horns, a popcorn box, or a popped champagne bottle when chatting away with my friends in the mysterious language of emojis. 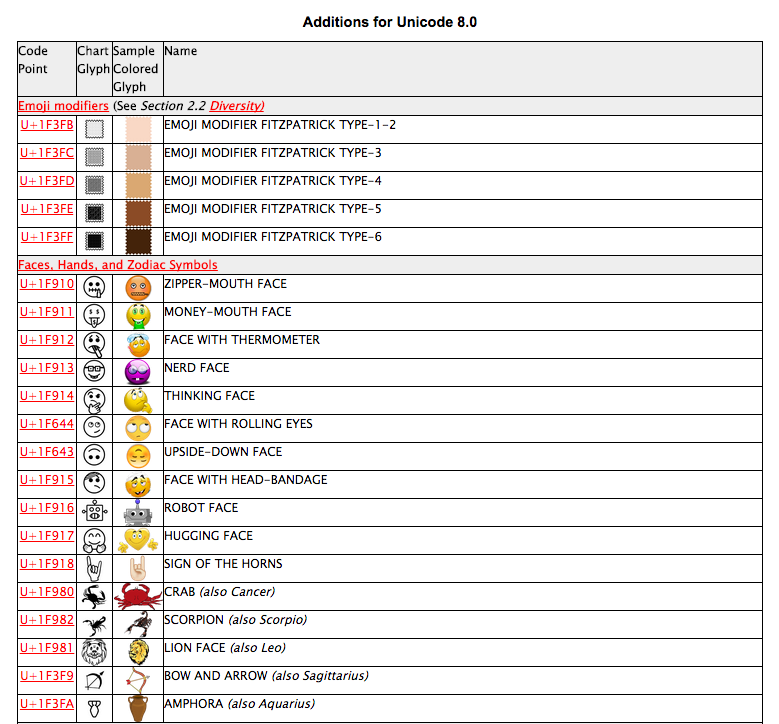 The Unicode Standard, which is the character coding system used by computers (and phones and digital devices) to read and display the various characters, alphabets, and emojis you use every day, has been updated to version 8 and it brings those additions along with more changes. Aside from including more language characters, v8 has 5 emoji modifiers for skin tones, akin to what you see on iOS' keyboard or in the web version of WhatsApp. Instead of having your faces limited to race neutral bright yellows, you can pick more realistic tones that range from white to beige, coffee, and dark brown. 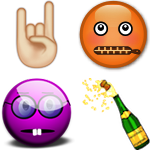 Also included are 36 new emojis for faces, zodiacs, religious places, things, and sports. There's a robot face, a sick face with a thermometer, a cricket bat and ball, a mosque, a synagogue, a taco, a turkey, and more. You can see the full list at the source link below. These emojis won't start showing up out of the blue for you, but since they're in the Unicode Standard, you have to wait for new software versions to support them. That involves all of your operating systems, be it on the desktop or mobile. Now if only they could add a crossing fingers emoji, I'd be set. That's the only one I still miss in the list.